July 4th is my favorite holiday because there's no pressure. Go to a cookout or don't, it's all good. 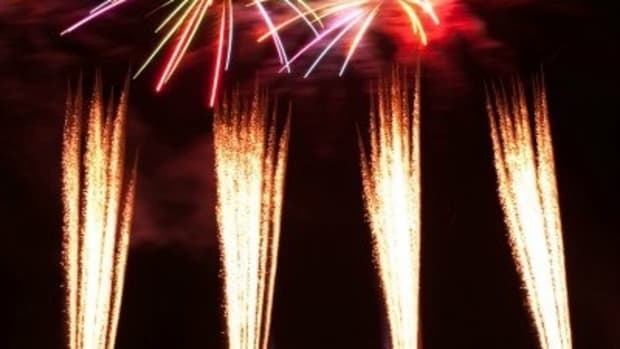 Here are some easy things to make your celebration funner, which is a word the British would hate. July 4th is my favorite holiday because there&apos;s no pressure. Go to a cookout or don&apos;t, it&apos;s all good. 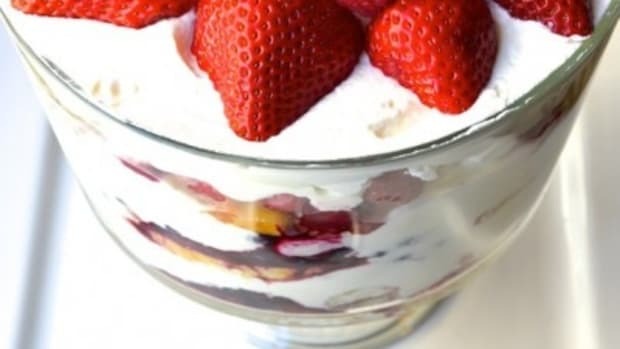 The one thing that I do love to eat on July 4th is a good Berry Trifle -- the real English kind soaked in sherry. 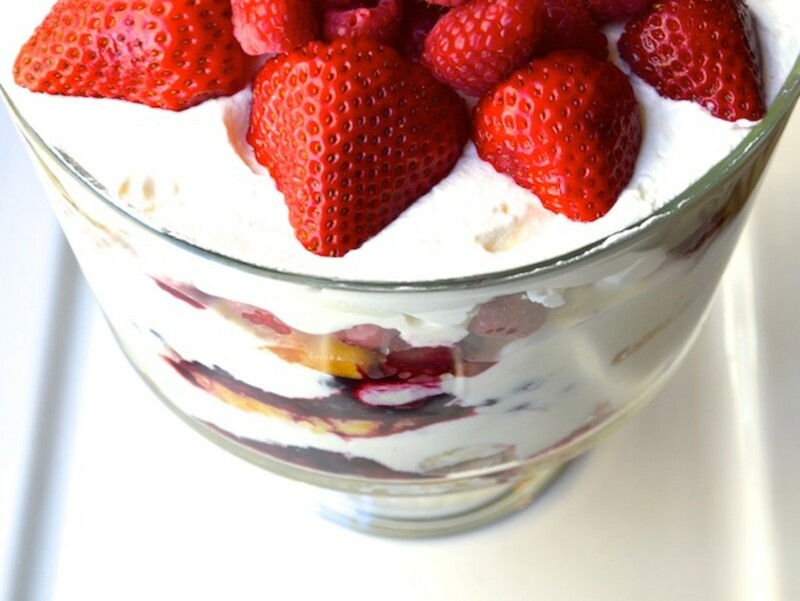 Is that an oxymoron to love English Trifle on July 4th? Sydney Oland preps a nice Berry Trifle on Serious Eats. 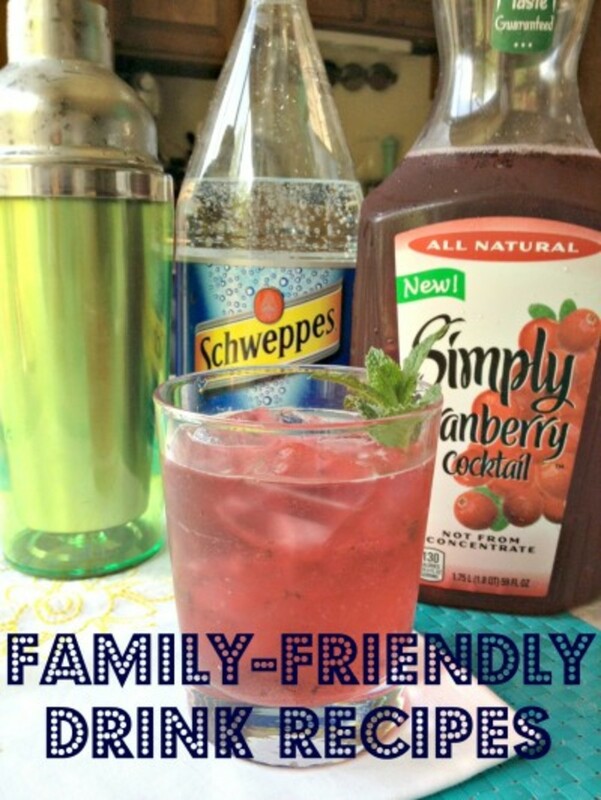 If you aren&apos;t sure about adding a liquor, let me ensure you that you won&apos;t be disappointed. 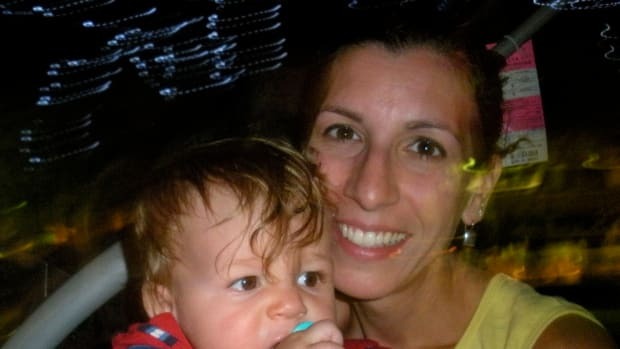 And no, your kids and granny won&apos;t get loopy on a tiny amount soaked into pound cake. It&apos;s also necessary to incorporate yummy summer tomatoes into this summer holiday. My husband would beg to differ. That&apos;s fine--more tomatoes for me! 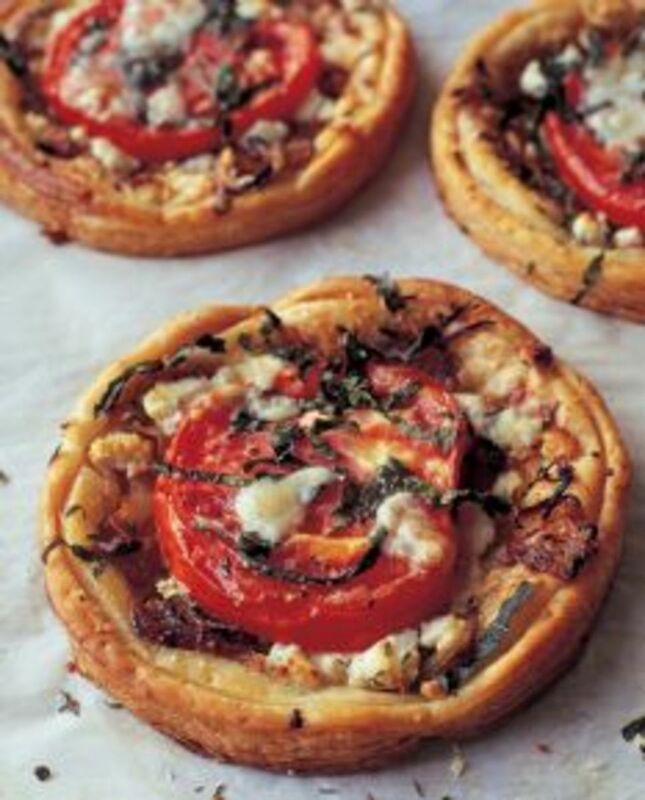 Since Ina Garten is quintessentially relaxed summer living, here&apos;s a tomato and goat cheese tart from her kitchen. 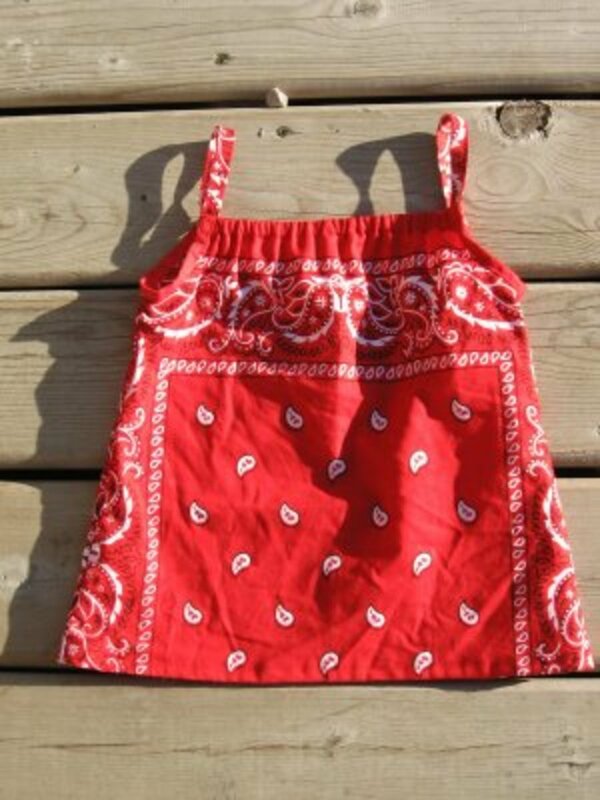 Switching to patriotic fashion...there are lots of stars-and-stripes clothes out there, but these DIY bandana tank tops are super cute for girls. I don&apos;t even have a daughter and want to make this cute shirt from Kiddlebug. Or this Americana shirt from the Twenty Minute Crafter. 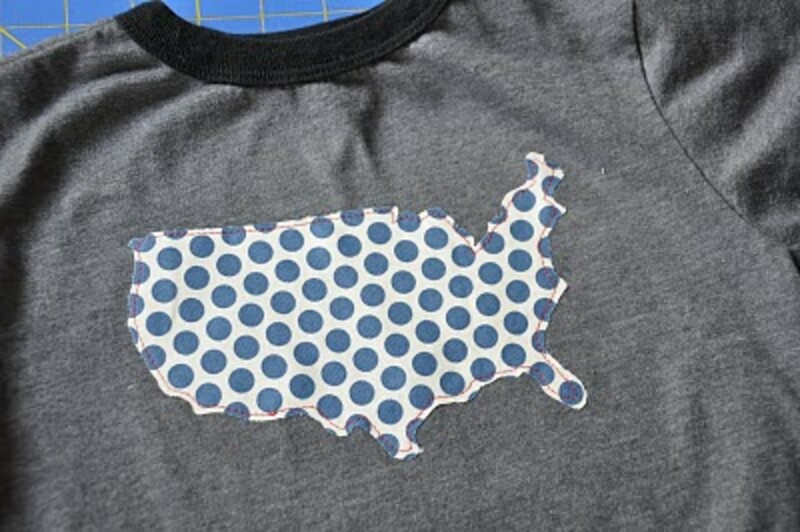 If you want to make it into a twenty-five minute craft, it would be fun to cut out an alternate fabric shape for your home state and stitch it onto the USA cutout. 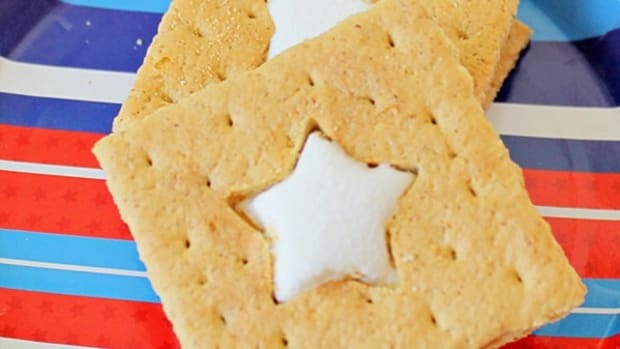 Carrots are Orange has a terrific roundup of kids&apos; July 4th crafting activities. If I could figure out how to make neat, discernible hand and footprints, I&apos;d rock kids crafts so much harder. 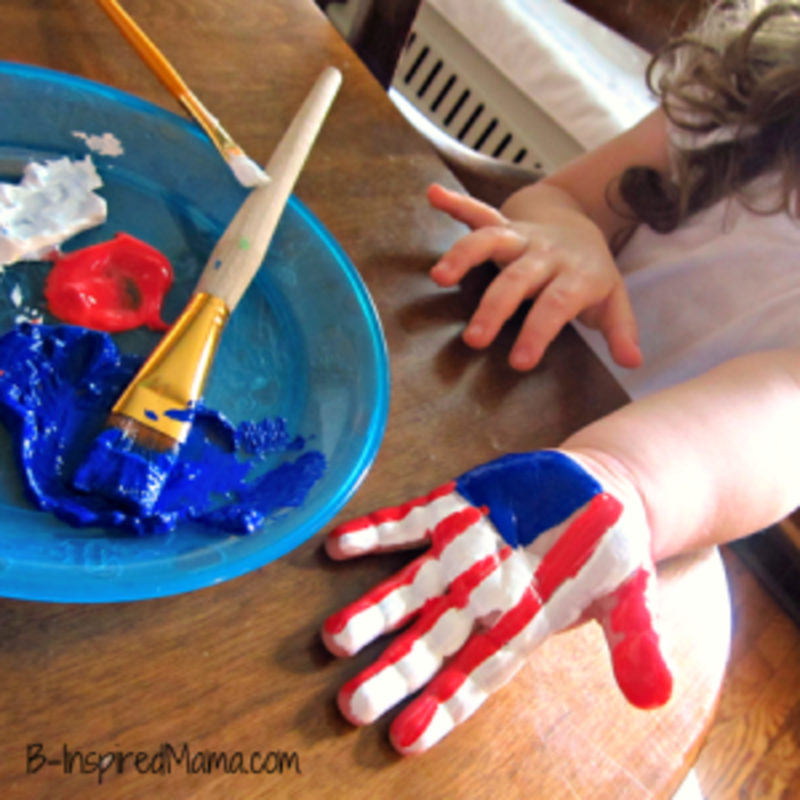 This patriotic handprint idea is from B-Inspired MAMA. My family loves taking bike rides. I doubt we&apos;d print out these Martha Stewart Bicycle Parade designs, but it&apos;s fun fodder for kids to design and color their own bike decorations. My son has been known to decorate paper, then glue stick it around his scooter post. 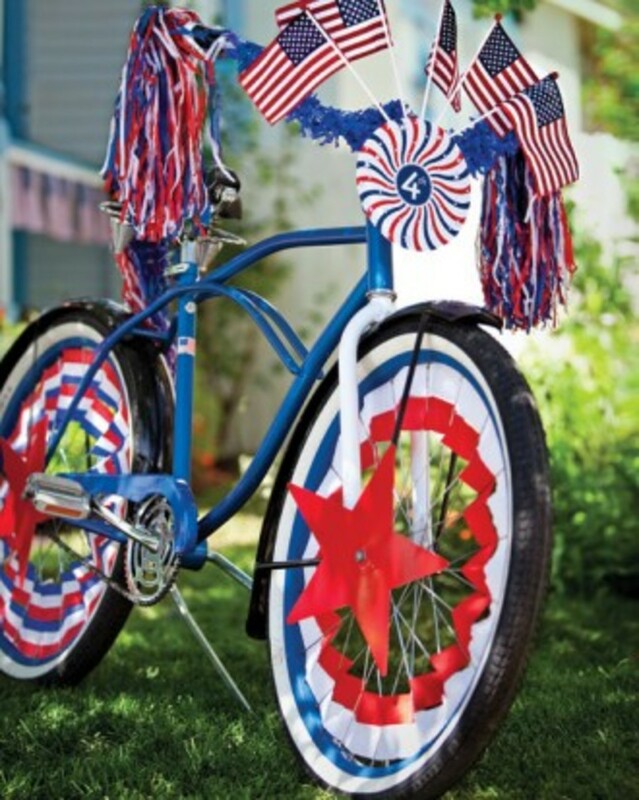 Some red-white-and-blue handlebar streamers are just the thing for a tike-sized July 4th Spiderman bike! and Delish serves up some adult style libations as well. 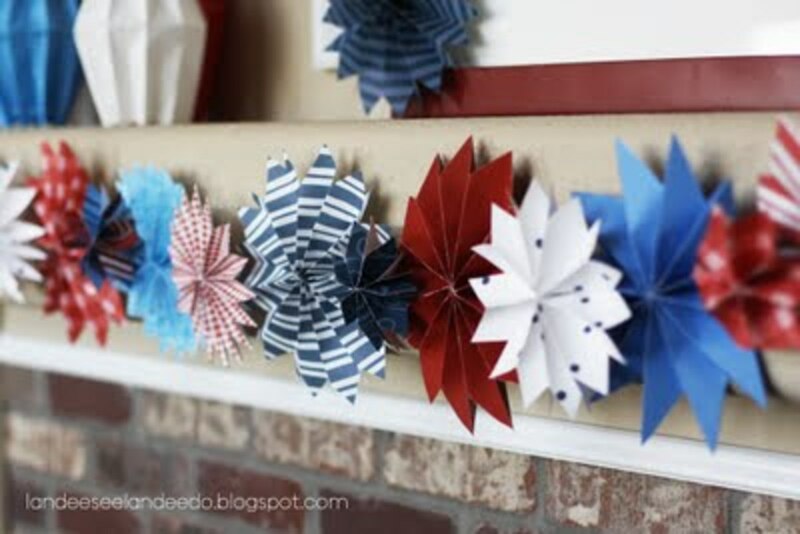 For people like Carina who hate fireworks, here are some paper decorations that seem pretty quiet. Thanks, I Heart Naptime! 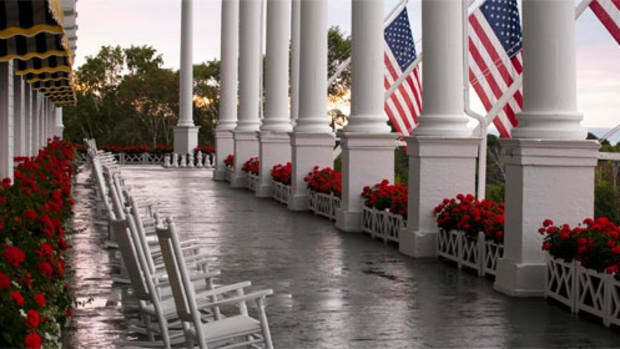 Happy Independence Day!What&apos;s your July 4th celebration style? 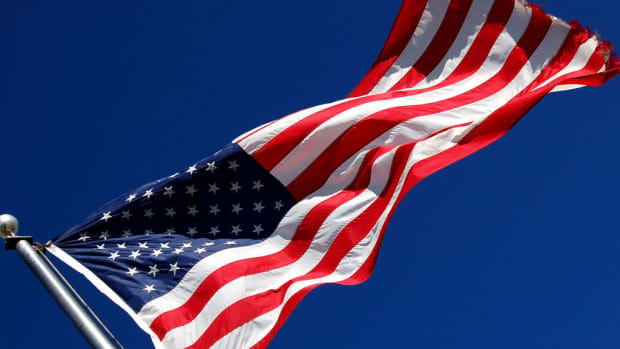 July 4th is my favorite holiday because there’s no pressure. Go to a cookout or don’t, it’s all good. Time to start planning out your 4th of July dessert menu! Looking for something fun to keep the kiddos occupied while you get ready for your Independence Day festivities? 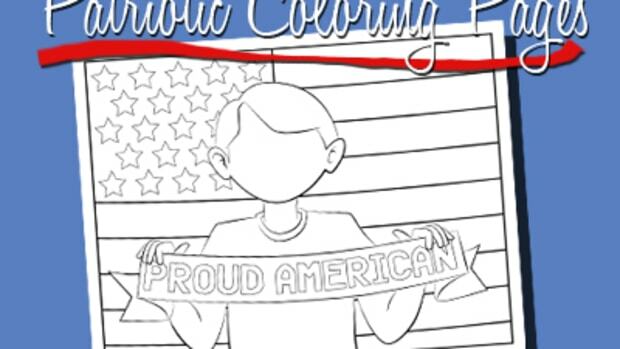 How about our July 4th coloring pages? 4th of July calls for a something FESTIVE, amirite? 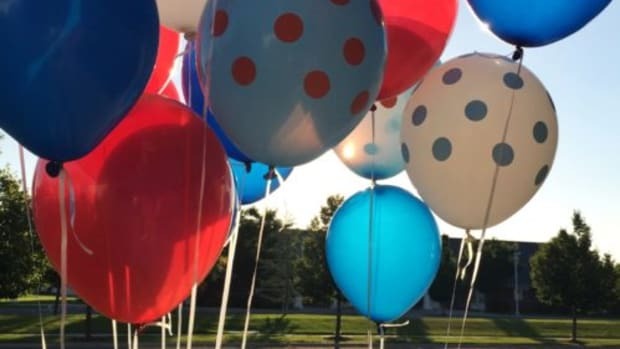 How about surprising your neighbors with a little holiday cheer in the form of BALLOONS and SPARKLERS!